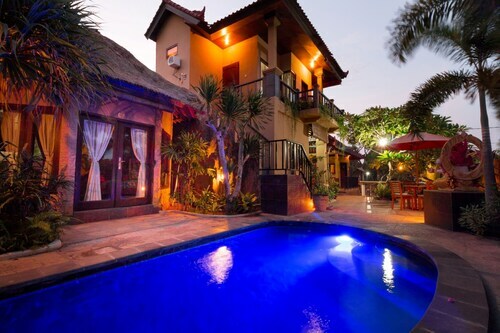 Situated in Rendang, this hotel is within 1 mi (2 km) of Pura Dalem Puri and Pura Besakih Temple. Pura Puseh Batuan and Pura Dasar Batuan and Museum Geopark Batur are also within 12 mi (20 km). Situated in Tulamben, this hostel is 1.5 mi (2.4 km) from Tulamben Beach and 2.4 mi (3.9 km) from USS Liberty Shipwreck. Amed and Amed Beach are also within 9 mi (15 km). 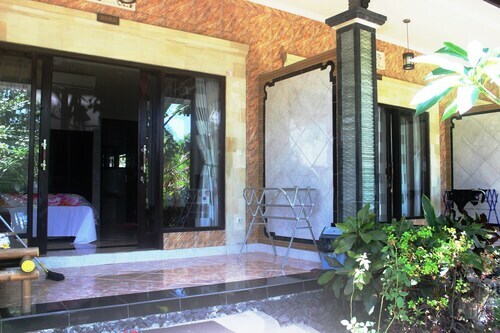 Situated in Karangasem, this guesthouse is 1.7 mi (2.8 km) from Water Palace of Tirtagangga and within 9 mi (15 km) of Taman Ujung Water Palace and Pasir Putih Beach. Lempuyang Luhur Temple and Amed are also within 12 mi (20 km). 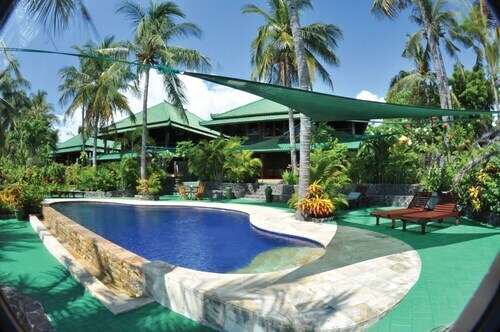 Situated by the ocean, this bed & breakfast is within a 10-minute walk of Tulamben Beach and USS Liberty Shipwreck. Amed Beach and Amed are also within 9 mi (15 km). 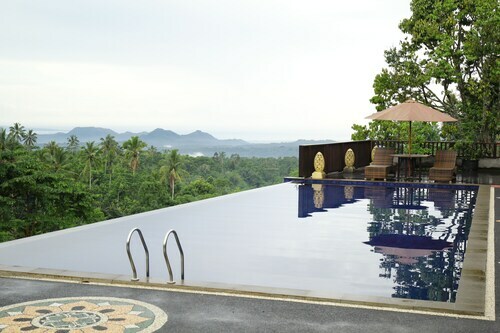 Situated on a lake, this spa hotel is 0.1 mi (0.1 km) from Water Palace of Tirtagangga and within 9 mi (15 km) of Taman Ujung Water Palace and Lempuyang Luhur Temple. Mount Agung is 17.7 mi (28.5 km) away. 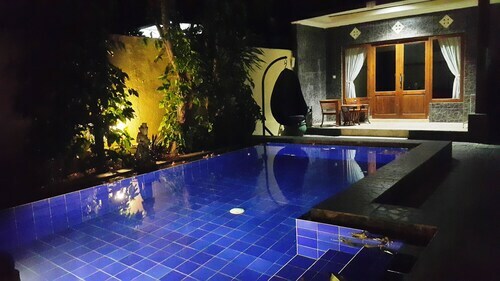 Situated near the beach, this hostel is within a 5-minute walk of Tulamben Beach and USS Liberty Shipwreck. Amed and Amed Beach are also within 9 mi (15 km). The staff here were amazing! They looked after me in every day and treated me like family. The rooms were fantastic, the pool was lovely and the breakfast sublime. Thank you so much! 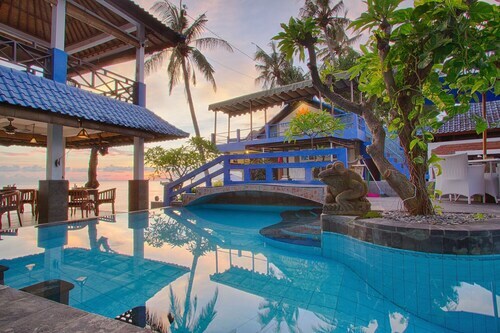 Situated by the ocean, this hotel is within a 15-minute walk of Tulamben Beach and USS Liberty Shipwreck. Amed and Amed Beach are also within 9 mi (15 km). 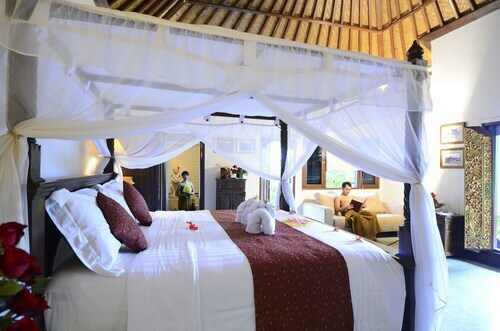 Situated near the beach, this bed & breakfast is within a 10-minute walk of Tulamben Beach and USS Liberty Shipwreck. Amed and Amed Beach are also within 9 mi (15 km). 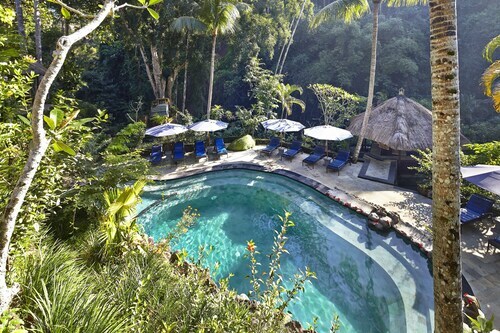 Nestled on the beach, this Tulamben resort is within a 15-minute walk of Tulamben Beach and USS Liberty Shipwreck. Amed and Amed Beach are also within 9 mi (15 km). Mount Agung is just one of those renowned places that you really should see at least once in your life. 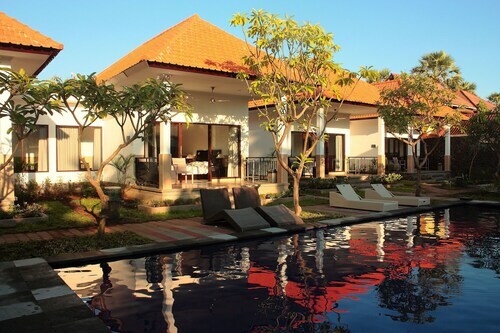 You'll find it in Kubu, 990 kilometres outside of Jakarta, the national capital city. 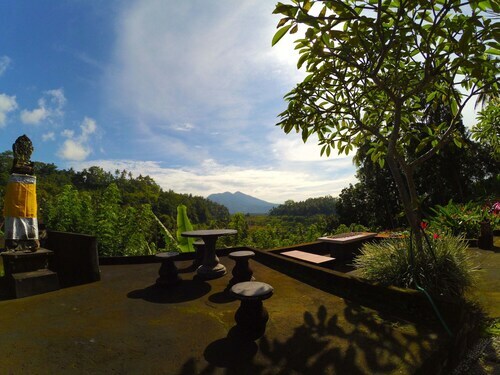 It might be a bit difficult finding a place to stay in the immediate surrounds of Mount Agung. But don't stress, there are 7 possibilities that aren't too far away. 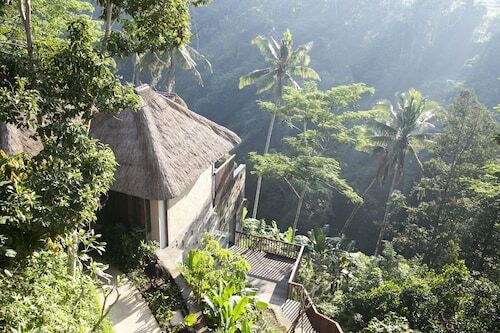 The Mimpi Resort Tulamben and Tirta Ayu Hotel & Restaurant are terrific options. You can learn more about the rituals and customs of the local religion at Pura Besakih Temple. Take the opportunity to walk around the neat flower beds and other immaculate displays of Water Palace of Tirtagangga. Take a deep cleansing breath of the fresh air at Tulamben Beach, and let all your cares drift away. There are few places more serene than the intricately designed interior of a temple. 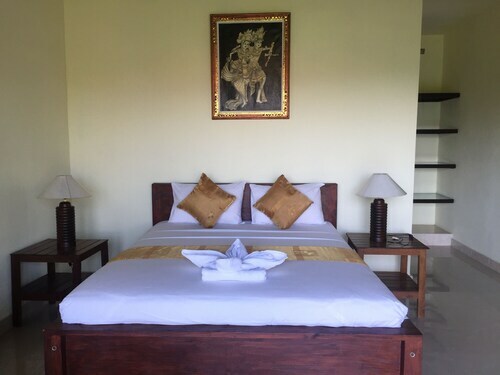 Take some time to relax at Pura Pancering Jagat. Don't forget to take pictures of the lovely basins at Batur Natural Hot Spring. 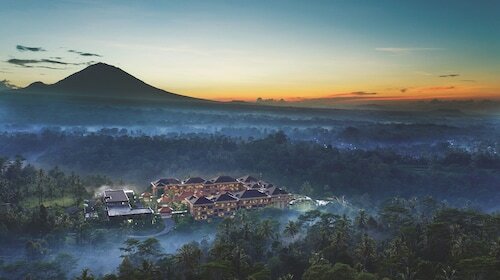 How Much is a Hotel Room in Mount Agung? 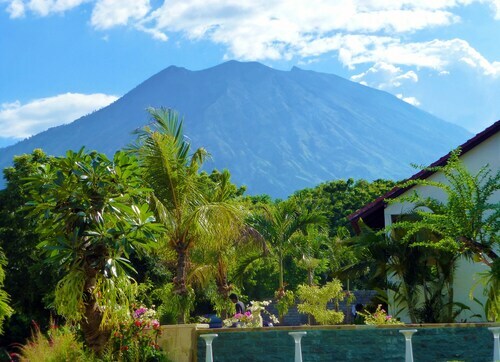 Hotels in Mount Agung start at AU$21 per night. Prices and availability subject to change. Additional terms may apply.